Hello, and Happy Holiday Season, my honeybunches! I hope everyone's fully prepared to either celebtrate or else hunker down and comfortably ignore all the winter festivities, whichever is your preference. Today's the last blog post you'll be getting from me for the next couple of weeks, as I'm taking a little bit of time off for Christmas and the New Year, so I thought I would share some new cover art. 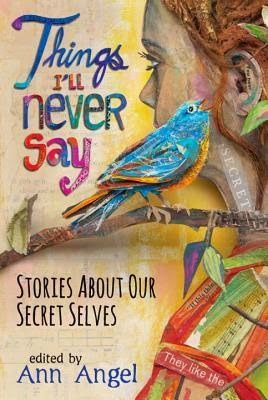 This is for the anthology I've mentioned a few times before; produced by Candlewick Press and due out in hardcover in the US in March 2015, it's entitled THINGS I'LL NEVER SAY and is full of short stories on the theme of secrets and secret selves. I was told that my UK publisher Walker Books would be releasing this anthology here in Britain at some point, too, but I don't know any details about that yet, sadly. I'll update you when I do! 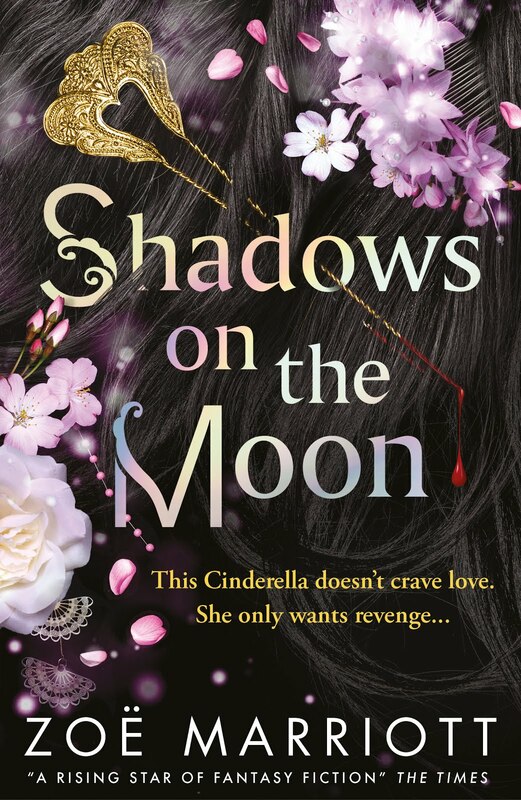 In the meantime, I'll probably look at getting hold of some copies of this so I can do a giveaway for British and European Dear Readers in March. I don't technically have permission to post this here, but it's already up on Goodreads and Amazon, so... whatevs. What do you think of it? Let me know in the comments :) Read you later, lovelies! Hello, hello, hello, my muffins! Happy Wednesday to all. Today I've got a link to my post on the Authors Allsorts in which I dish the juicy details about my stationery habit. But before I get there, I need to tell a story, talk about something I found out last week, and do a little Public Service Announcement. So, I've mentioned in previous posts that I've had a lot of health problems this year. In April I began to get terrible headaches that made my eyes feel as if they were liquifying in my head. I could barely look at a computer screen without the light from the screen causing me agony, I felt tired all the time no matter how much sleep I got, my asthma started to act up, I often found it very difficult to concentrate, and I also suffered a lot with feeling randomly nauseous. Now, the thing is that I've had headaches and migraines all my life, and I also have IBS, which can make you feel sick fairly often. And people's asthma can get worse or better over the years. So these things seemed, to me, like a simple (if unwelcome) worsening of problems I already had. My main concern was that feeling this way was having a huge impact on my work and I focussed on that because if I lost my ability to write, I knew I really would be up a creek without a paddle. Concerned friends and family offered theories. The tiredness might be a new manifestation of my depression, after everything I'd been through in 2013. The change in frequency and intensity of my headaches might be a natural effect of getting older. I should probably go and get an asthma check to see if I needed a different kind of spray. If I felt sick all the time, perhaps I should try keeping a food diary again, like I had for several months when I first learned I had IBS. I didn't know if any or all of this was true, or would help, but after feeling awful for months I did know that I needed to seek assistance because it wasn't getting better on its own. I went to the doctor and was given medication to help with the headaches, as well as a new asthma regimen. I went to the optician and got new glasses. I developed new coping strategies, such as overloading on caffeine in the mornings, wearing dark-tinted sunglasses whenever I worked on my computer, and resigning myself to getting to bed quite early and getting up much later than before (even though previously I'd never needed much sleep, and had always been the kind of person who had to get up early to feel well) so that I got nine hours or more sleep a night. I faithfully took my asthma sprays twice a day. Honestly, even after all this I still didn't feel that much better, but I was able to get back to writing as I adjusted to feeling, basically, below par all the time, and to working around the constant pain in my head and eyes and the weird nauseated dizziness. I resigned myself. I had no way of knowing what was really going on. Last week I woke up to discover that a) the house was freezing cold because my boiler had broken down and b) that I didn't have a headache for the first time in... weeks. The boiler wasn't a surprise, really; it's broken down pretty much annually every year since it was installed. But I was a bit shocked to wake up feeling rested and not in pain. Anyway, I called up the repair people and they came out. Happily for me, the person who came was a very experienced head engineer. Rather than doing a reset or a quick fix the way that the last several repairmen had, he took the boiler apart and noticed not one, not two, not three, but SIX problems (two small cracks/leaks and two blockages caused by these leaks, plus a load of water in the bottom of the boiler and a load of corrosion). Basically, my boiler had been teetering on the edge of breaking down for a long, long time and needed to be almost completely rebuilt. It took the engineer FIVE DAYS - Tuesday to Friday, with another full day on Monday and the help of another engineer - to get the boiler rebuilt and my central heating and water working the way they should. Despite only having heat and hot water intermittently, and despite the large man making scary banging noises in the loft, I was surprised to find that I felt better last week than I had in months and months. I wondered if maybe it was the cold, and if perhaps I should try keeping the thermostat turned off from now on. Wearing leggings under my trousers, fingerless gloves, a hat and a fluffy shawl over my cardigan would be a small price to pay. The answer to that is no. But. But. In my bedroom there is an airing cupboard. The cupboard used to be hooked up to the old water heater tank and as a result, it has no ceiling - it opens directly up into the loft space. The engineer had a look, and then he spotted the fact that my bedroom window was open, even though my heating was off. He asked why. I explained to him that I always sleep with it open these days because I'd found that if I closed it, I ended up with an even worse headache than normal; I'd assumed because the room got too stuffy at night. The engineer told me, very gently, that he didn't think it was because the room was getting too stuffy at night. He reeled off a list of symptoms of carbon monoxide poisoning: headaches, dizziness, breathlessness, nausea, fatigue, and inability to concentrate. Everything I had been suffering with since spring this year. He told me that I need to make a doctor's appointment, like... now. Most likely version of events: small amounts of carbon monoxide were venting into my room through the airing cupboard, particularly at night because I generally have my bath or shower in the evening, meaning that's when the boiler is most heavily used. The amounts of the gas would vary depending on how much I was using the boiler generally - more if the weather was cold and the radiators automatically came on - and in which direction and how strongly the wind was blowing on the roof. The fact that I kept my window open at night... well, it might not have actually saved my life, but it probably prevented me from getting a lot sicker than I already had been. And the fact that all the faults with the boiler that caused the carbon monoxide to reach such dangerous levels had also caused it to break down before we hit really cold weather, and I turned the heat up and began leaving it on during the night? That probably DID save my life. So this is my Zolah-Land public service announcement. If you are having these symptoms and they persist, as mine did, for weeks or months at a time, and you find that you feel strangely better when you are away from home but that you get worse again when you return? For heaven's sake, get your heater or boiler or whatever checked. Please. And get a carbon monoxide alarm and put it NEAR WHERE THE BOILER IS (I had one, but it was shoved on a shelf on my landing, in completely the wrong place to be useful). Although I obviously wasn't lucky to have a dangerously malfunctioning boiler that was pumping out high levels of poisonous gas, I was lucky that it was in the loft, that I mostly already slept with my window open, and that the boiler went wrong during summer months when I barely used my heating. You may not be that lucky. So just be careful. And with that, we move onto happier things: STATIONERY. Check out my collection and weep, losers! Hello my lovelies! No new post on this blog today, but here's a link to my guest post on the CBC Diversity Blog - Step Out of the Privilege Bubble. It's a shortened, updated version of this post, which in turn was a follow-up to this post, so you can refresh your memory about those, too, if you wanted. I'm delighted with the recent explosion in awareness on this topic - at The Zoë-Trope we (and by 'we' I mean me and my Dear Readers) have been talking about diversity and it's importance pretty much since the beginning (back in 2010, eek). Now we're part of a much bigger discussion that is finally taking place throughout the children's and YA book community and I feel very proud to be a part of that. I hope you do, too! Have a lovely weekend, my duckies (it's almost here!) and read you next week. Hello, my lovelies! Happy Wednesday! Today's post is in answer to a reader question, but before I get started, I bring tidings of great joy! 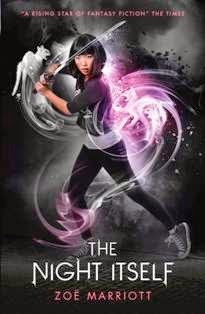 THE NAME OF THE BLADE has been nominated for the Teenreads.com Teen Choice Book of the Year 2014! Voting for the winner will run between now and the beginning of February next year, so if you've enjoyed the book and would like to see it get a little more attention head over here to the poll and voice your opinion (you can vote for up to five books, not just mine). Also, any reviews for the US version of the book there on Amazon.com would be greatly, greatly appreciated. I know that's a pain for US Dear Readers who've already reviewed the UK version of the book, since those reviews *should* have been transferred across. But I emailed Amazon.com about it and their response was basically 'Meh'. So... it's down to us to do something about the lonely, four-review status of the book. I appreciate the readers who've already done so more than I can say. But I love you all anyway. Mwah! I had a quick question in which I'd like to ask if you do not mind. I was interested to find out how you center yourself and clear your thoughts prior to writing. I have had a tough time clearing my thoughts in getting my thoughts out. I truly do take pleasure in writing however it just seems like the first 10 to 15 minutes tend to be wasted just trying to figure out how to begin. Any suggestions or tips? Many thanks! Anon, this is a problem I'm sure most writers and creative people have. I know that the fantastic YA writer Melinda Lo, for instance, needs to meditate for a short while each day before beginning work in order to centre herself. It's a little strange, because if you're anything like me you spend a lot of time doing regular day to day tasks - shopping, cleaning, walking the dog - with your brain just buzzing with your character's voices and bits of descriptions and actions you can't wait to write. But as soon as you actually sit down to do so? Suddenly your head is filled with the regular day to day tasks instead! Frustrating. I've got an advantage because I have my Writing Cave, a teeny-tiny box room which is filled with books and a computer and pretty much nothing else. When I go in there my brain *knows* that we're about to get down to business and so I find it easier to clear my head and start work (sometimes I swear, as soon as I walk in I can feel my synapses give out a little sigh of relief). But on days when I'm stressed or tired or just not feeling all that creative, it can still be really tough to stop other thoughts from getting in the way of the words. So I do have a few strategies that I use to shove all that annoying real stuff out of the front of my head to make room for my story. MUSIC: I'm a little more music obsessed than the average bear (although not as obsessed as the famous Maggie Stiefvater, whose eye-wateringly extensive playlists can be found all over her blog and Tumblr) and make multiple playlists for each book, and sometimes specific ones for each character or for important relationships or events. But you don't have to be a tunes-nerd to utilise the benefits of music to help you focus and get your head into a creative space! You don't even need to be one of those writers who listens to music as they work - I know plenty of people who can't stand it, but don't worry about that. That's not what we're doing here. Set aside an afternoon to browse on Spotify or YouTube and find a song that really speaks to you - you know the kind I'm talking about, one that makes you stop whatever you're doing for a moment as soon as you hear the opening notes, that gives you a little shiver down your spine when it opens up. If it's a tune that relates in some way to your current book, that's great, but it doesn't have to be. It just needs to be a piece of music that speaks to you. Download said piece of music and the next time you come to write, after your document or your notebook is open and you're ready to begin, stop - and play the song. Listen to it with your whole heart, feel it, let it move you. When it's finished, hopefully the buzzing thoughts will have calmed down a bit and you'll feel the stillness and inner quiet you need to start putting words down. PLANNING: Sometimes your head is full of anxiety and stress because you know the upcoming scene is really important and you're not sure you have the skills to pull it off. This worry can block the brain like nothing else, and before you know it your thoughts have gone off on a merry, procrastinating joy-ride, fixating on the cracks in the ceiling, the not-very-interesting thing you saw on TV last night, or your plans for great-aunt Miriam's birthday present next May: in short, ANYTHING but the thing you actually need to concentrate on. At this point, whether you're an outliner or a pantser, a little bit of planning can really help. Not too much! Don't panic! Get a Post-It or the back of an envelope and a pencil and make yourself a little bullet-pointed list of three or five or ten things you need to accomplish in this scene. John and Beth argue/Beth storms out/John watches Beth from window and has revelation about feelings/John sees fireball fly over castle wall and immolate Beth/John screams in primal rage, turns into purple gorilla and smashes way out of window to destroy everyone. There! You don't have to stick to this list of things - but by having defined what you're here to accomplish, you've sneakily slid your brain sideways into focus on the story in a no pressure sort of way. When the list is finished, generally you feel calmer and better able to begin. TAKING THE PRESSURE OFF: Sometimes all the stars align right, the writing gods smile on you, you roll out of bed bright and early and find that you have a whole day or half day (or whatever) with nothing to do but write. No distractions, no worries, nothing else to accomplish. It's going to be amazing! You sit down. And you stare at the blank computer screen/page. And stare. And stare some more. AND NOTHING COMES OUT. Why? Too much pressure! The idea of dedicating a whole day or several long hours in a row to nothing but writing feels exciting, but in practice it can often make your brain freeze up. So come at it a different way. Set your phone or your alarm to beep in half an hour or forty minutes and tell yourself that you need to write as many words as possible in that time. When you're done, you're done. The rest of the day is free. GO! This might sound like the opposite of 'taking the pressure off' but it works really well. Now you have a short-term goal which is much less scary than 'spend the entire day creating deathless prose' and you don't have any time to hang around. It jumpstarts you creatively and you may find that you write a surprising amount for such a short period of time. You may also find that at the end of your thirty of forty minutes you're desperate to continue - which is fine - or that you're exhausted and happy to stop - also fine! Either way, you'll have accomplished much more than you would have if you'd spent two hours staring at your blank page before finally bursting into tears, fleeing to your favourite blankie, and curling into the fetal position. JUST RESIGN YOURSELF: Even with all these Jedi mindtricks, there are still times when your brain simply will not shut up and you cannot seem to get into the proper writing mood. You know that anything you write for at least the first twenty minutes is going to be rubbish. So? Resign yourself to that and write anyway. Just because the first few paragraphs or pages will need a lot of rewriting, that doesn't mean the rest of your work for the day won't be excellent and well-worth committing to the page. It doesn't mean you should waste hours fruitlessly trying to inspire yourself in increasingly bizarre ways, or give up completely, either. This is one of the first lessons that full-time writers learn: sometimes you just have to push through and write, even when you don't feel like it. In almost every case, after half an hour or so, the effort to put words down loosens up my cramped creative brain and I start to feel happy and inspired after all. So what if it takes a page of dross to get me there? It's worth it! Hello, hello, hello, Dear Readers! Today is one of those days when I kind of wish I blogged on Tumblr, because they don't have to come up with blog titles; they can just post. There are no literal jigsaw puzzles involved in today's blog - sorry for the disappointment - but it seemed better than calling this post 'Random bits and pieces of stuff that's currently interesting or inspiring me maybe it will do the same for you kthnxbai'. So! A jigsaw puzzle of stuff for your delectation! I bought an armful of DVDs the other week. These included THE FAULT IN OUR STARS (sorry cynics, but I really loved it and cried buckets - recommended); CHEF (funny and entertaining although it didn't quite reach outstanding for me - something failed to gel); MALEFICENT (adored it - brilliant performances and a Feminist take on the fairytale, though the CGI was a bit distracting in places); EARTH TO ECHO (Charming, funny and affecting - will be sharing it with my nieces next time they visit); and BEGIN AGAIN (Probably not for younger Dear Readers, what with all the swearing, but fantastic nonetheless - a story about broken-hearted people healing themselves through friendship and art, and probably the film that CHEF was trying to be but didn't quite manage). I also went to see MOCKINGJAY Part One and was, not surprisingly for anyone who knows how I feel about these books and films, blown away. It's certainly the darkest film so far - not a surprise, since the book takes grimness factor up to over 9000 - in terms of the characters and their arcs, and also visually, since we only see the neon-coloured Capitol in glimpses and most of the action takes place in an underground concrete bunker. I've seen reviewers complaining about this, and longing for more fabulous Capitol scenes, but to me that misses the point somewhat. Or a lot, actually. The whole point of the Capitol is that it's glittering beauty and excess distract the people from the horrors happening right under their noses. The people of the Capitol - mothers and father themselves - wholeheartedly embrace a form of entertainment where innocent children are made to fight each other to the death, and worship and adore the public face of the 'victors' while turning a blind eye to how these same children, having survived the games, are exploited, tortured and sold into sexual slavery for the amusement of President Snow. The future America depicted in this story is called Panem. This literally means 'bread' and comes from the saying 'Panem et Circences' - a phrase coined by a Roman Emperor which basically states that so long as the Roman people are given bread to eat and circuses to distract them, they will never rebel against the Empire. AND IT'S TRUE. The Capitol have turned war - a calculatedly horrific kind of war, in which children murder each other while their families are forced to watch, helpless - into a GAME. They have turned it into a theatrical show so beautiful and spectacular and eye-catching that no one even realises it is a war at all. Not even US - you and me! - watching from our comfy theatre seats in the real world. How well I remember the cheer that went up from the other film-goers when, in THE HUNGER GAMES, first Clove and then Cato were killed. YAY! Underage kids who've been indoctrinated into believing their only choice in life is to fight to the death with other kids have been horribly killed! There's a real crowd-pleaser! To me, the point of this film was to strip away the carefully constructed veneer, the gorgeous costumes and sparkling lights and moving music, and show us the truth, that the 'Games' President Snow presides over *are* warfare, and always have been. But the grim darkness of this film was also marked by moments of piercing beauty which were all the more meaningful and lovely for their rarity - and their realness. Katniss and Gale stalking the deer through District 13's undisturbed woods and letting it live, the film crew sitting by the river in District 12 in the sunlight while the mockingjays called around them, Katniss's low, heartfelt voice singing 'The Hanging Tree' blending seamlessly into the voices of District 5 workers marching to war - to certain death - in order to destroy the dam that supplies the Capitol with power. Each one felt like a punch to the gut. Go see it, but take tissues, and expect to leave feeling emotionally destroyed as only the best pieces of art can destroy you. It's called Pacemaker, and I love it. We know about my disastrous history with NaNo, but this programme offers the chance to create a similar sort of schedule on a really individual basis, even down to marking certain specific dates off or deciding that you want to work with gradually increasing intensity. Check it out. Hello, my well-iced cupcakes! Sorry for my blogging absence last week. I'm afraid I caught two bugs one on top of the other and I pretty much lost the full seven days. I'm still recovering, but at least I feel mostly human now. That was my NaNo efforts out of the window, though. I think I've learned my lesson now that it's happened three times: the universe does not want me NaNoing. I can take a hint! Today's post is one that I promised on Twitter to the delightful Dear Readers Jenni (@JuniperJungle) and Lucy (@ChooseYA) aaages ago, after I posted a screencap of part of the original page of notes I made back in 2010 when I first came up with most of my ideas for THE NAME OF THE BLADE. So here is me finally getting to it, half a month later. I've mentioned on the blog before that I use a programme called OneNote - a sort of virtual notebook which lets you open up new pages and tabs and jam random notes all over the place in no particular order - to keep track of my messy, developing ideas as all the elements of a story start coalescing in my brain. It's not really the same as brainstorming. It's just jotting things down, actually, but it's better for me than a normal notebook (le gasp! No, I still love normal notebooks and my stationery fetish is intact, I'm not a pod person, honest!) because after writing the notes you can move them around, add things, take things away, change the size or colour, add hyperlinks or paste in reference pictures, and generally make a mess of the virtual page without *literally* making a mess of the page, as you would if you did this on paper. For this reason, while showing you any of the actual notebooks I used to write the trilogy (nine of them!) wouldn't be very interesting because most of the pages are barely legible and all of them are a mess, showing you screencaps of my OneNote pages is not only possible but feasible. And since Lucy and Jenni assured me it would be fascinating... here we are. This is a continuous screencap of my very first page of notes for THE NAME OF THE BLADE, written over the course of about four or five days of furious inspiration in 2010 - and then added to over the following year. As you will be able to see immediately if you've read any of the books, my original ideas were all over the place and many of them evolved or changed completely between starting to scribble down ideas and the book actually being written and then ending up on shelves. However, some things - like the haiku which gave the series its individual book titles and guiding theme (that the powerful, passionate love mortals are able to feel within their finite lifetimes is terrifying and awe-inspiring even to such ancient forces as the ones surrounding them in this story) stayed exactly the same. I actually wrote the haiku within minutes of the idea of a warrior trapped in a sword appearing in my head - and as my ideas kept getting bigger and bigger, realising that there were three book titles in there was part of how I knew it was going to be a trilogy. The blurred section, by the way, is a bunch of mythology stuff that's going to be revealed in the final book. And since no one but my editor and agent have read that yet, it didn't seem fair to splash it around and ruin things for everyone else. If any other notes up there seem like massive spoilers, they're probably things that I actually changed later on, so I've left them because they won't do any damage to your reading pleasure. You can see down the right hand side that I have other pages for each individual book - which is where things get really detailed and spoilery. There's also one called THE NAME OF THE BLADE which was my series bible, so to speak, keeping track of who knew what when and all the little niggly details that I needed to remember. And finally there's one called The Name of Love, which is a short story in the universe that I've been working on intermittently. Every book that I've worked on over the last few years has a notebook like this in OneNote. Since most of my books are standalone most of them have less tabs - but not all. For instance, #BaBBook has just as many tabs because I've been doing in depth research into Japanese flora and fauna and food and house construction and a host of other things, and I've got a mini-encyclopaedia filled with reference notes, pictures, and links. I hope this was interesting to someone, anyway! Thanks for pushing me to post it, Jenni and Lucy! Read you later, my lovelies. Hello, oh lovely readers, and welcome back! As our blog title for the day suggests, this year I'm attempting to participate in NaNo. Sort of. Due to all the personal and health issues I had this year I never got around to running or even attempting to do my own International Creative Writing Month (sorry, anyone who was looking forward to it!). In May and July, when I'd normally have set that up, I was just about managing twenty minutes or maybe half an hour of computer activity per day before a headache set in, and that was while wearing sunglasses. It just wasn't going to work. But I still feel bummed about it. So when I sent my edits for Frail Mortal Heart back a few days shy of the end of October, I thought - why not try NaNo this year? I should... probably have known better than to do that, really? 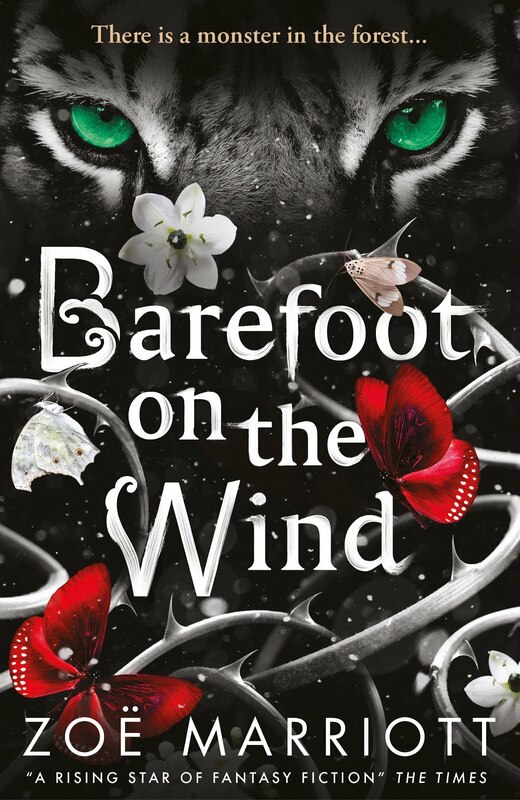 Well anyway, I knew that I couldn't actually sign up to take part as an official NaNo-er because the book that I'm working on in November is the Beauty and the Beast retelling I talked about here, usually referred to on twitter as #BaBBook. I've already written a chunk of the book and that means it's not eligible to be a NaNo novel. But I did intend to stick to the rules otherwise and commit to writing a certain amount each day in order to get to a certain word total by the end of the month. My goal was to produce ten handwritten pages of notes six days a week, for a grand total of 240 pages by the end of the month (I didn't count the first Sunday of the month because I was spending that day with my nieces). That would significantly progress BaBBook and give me a shot at getting a first draft finished early next year. All good. As usual, Fate, the Muses, and the Writing Gods laughed at this plan of mine. As soon as I opened my draft document to look at the chapters I'd already written (I'd planned to skim-read them to get myself back into the correct voice and mood) I began to get a sinking feeling. I hadn't looked at this piece of writing for a month, since I'd been focusing on the aforementioned edits for TNotB #3, and it seemed that the distance had thrown some serious problems with the opening of the novel into sharp relief. I'd been feeling pretty good about those chapters and now I definitely was not. They just weren't up to scratch at all. Fine. OK. Don't panic. The first day was just going to have to be re-writing so that I could fix this and move on feeling confident. And I know that goes completely against the NaNoWriMo principle of pushing on regardless, but I just *couldn't* OK? I had to get my ducks in a row first because otherwise the very important section I needed to write next was going to be weakened by the feebleness of what came before. So I put in what felt like a fruitful day's work revising those chapters and getting them up to a standard that felt solid enough for me to move on, and was feeling OK about things until I got to the end of the document and realised there were pages missing there. Pages I knew I had written. Nearly a full chapter. What was going on? Had I failed to save at the end of my last writing session a month ago or something or... or... Oh. My. GOD. I had been working on the wrong version of the manuscript. I have two computers now - a slim laptop that travels with me, and a heavy old PC replacement that lives in my Writing Cave. I also have a flashdrive which I ferry back and forth between them, updating whatever computer I'm using with the most recent version of #BaBBook. And obviously at the end of last month, I hadn't updated the file on the Writing Cave computer with the newer version from the flashdrive. No wonder those chapters hadn't seemed good enough. They were from the middle, not the end, of September. The urge to trash the room, rock 'n' roll style, was definitely rising, but after a few moments of deep breathing and staring at the calming picture on my wall, I was able to get it together. There was nothing to be done but print out the pages that I had revised, update my computer using the flashdrive and then hastily leave the room in order to watch classic anime until the urge to sacrifice myself on the alter of an elder god and then rise again as a eldritch tentacled monster of vengeance had passed. Today, then, has been spent looking closely at the correct version of #BaBBook and inputting quite a lot of the changes that I'd made to the older version of the book's opening onto that, since many of them are still good. Two days of NaNo (during which I should have written twenty new pages, remember) down and not much to show for them, except a slightly more polished version of the first few chapters. And also a strong feeling that the last chapter, which I wrote at the end of September, needs to go in the bin and be completely rethought because it just feels rushed and wrong. Dammit. So. Hopefully I'll get on that tomorrow and manage to construct a lead-in to the next part of the book that feels right and works. And then Thursday, I will actually start NaNo. Right? Hello, hello, hello, my lovelies! This post was originally supposed to be for yesterday, but I've been miserably ill since Saturday and today's the first day that I could be bothered to do more than tap out 140 characters on Twitter. However, I think the under-lying fabulosity of the post kinda makes up for the delay, so I'm just going to go ahead and call it even (especially since even now I know that 99% of you are busily scrolling past my words to get to the shiny shiny cover reveal below, you impatient heathens, you). 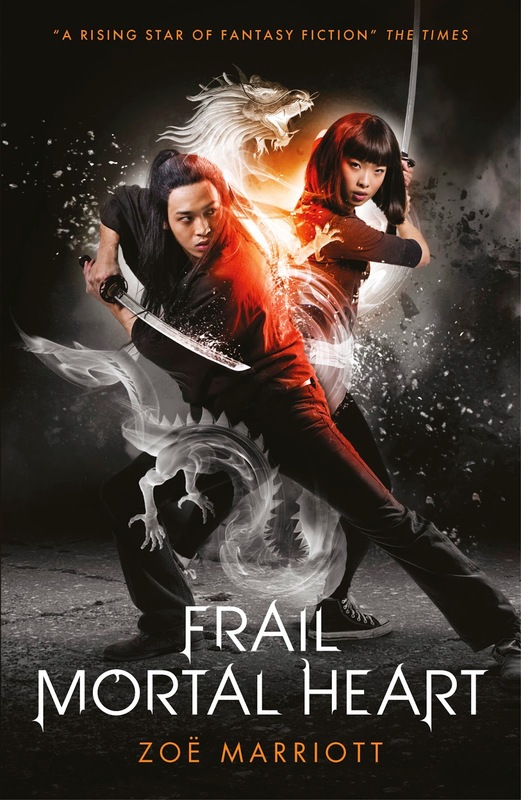 So, anyway: The Name of the Blade Book Three - FRAIL MORTAL HEART. It haz a cover and it is beautimous, and since it was shared with the lovely guests - hey guys, it was amazing to meet you! - at the blogger tea at Walker Books on Saturday (wherein I made my second flying visit to our country's fine capital in as many weeks and picked up this weird bug which may have been down to the salmon sandwich I ate on the train, and that's a lesson for you, my children - if they don't have ham then just say no to train sandwiches) and there are slightly blurry, not-really-forbidden glimpses of it circulating all over Twitter, I've now got permission to rip away the veil of secrecy officially. And yes, that was the longest sentence that's ever been written on this blog. Yes, I am doing it on purpose to mess with you, oh patient and rare 1% who are actually wading through all this before getting to the image. I love you, my babies! Never change! Fine, fine, I'll shut up. Here it is! It's coming right up, right next! Well, just a bit further down. Um. Yeah. Do I even need to describe the amount of flailing, squeeing and unbearable smugness that is emanating from Marriott Towers right now? No? I thought not. As I said at the blogger tea - my cover has a dragon on it. LIVE ACHIEVEMENT UNLOCKED. Click to embiggen. Do it. DOOOO IIIIITTT. That is my trilogy guys. It's *this close* to finished. And actually being serious for half a second here - I am so, so proud of Walker Books for once again kicking #racefail and whitewashing in the soft dangly bits and giving my books cover art that not only accurately reflects the ethnicity of the characters within, but celebrates it with an airpunch and a HELL YEAH WE NEED DIVERSE BOOKS BABY. At my publisher they not only acknowledge that they need diverse books, they really and truly want them, and treat them with the respect they deserve. How awesome is that? Thank you to Annalie (Wonder Editor) and Maria (Delightful Designer) and also Larry Rostant, the photographer (who doesn't have a nickname because I haven't met him so it seems like it would be taking a liberty) for making my dream covers a reality. Wow, guys. Just. Wow. 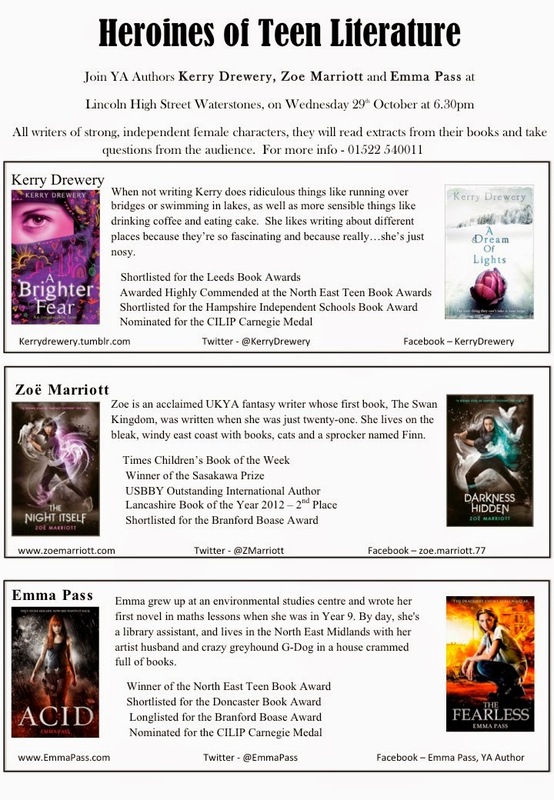 OK, before I go, a final reminder that I, along with amazing fellow YA authors Emma Pass and Kerry Drewery, will be at the Lincoln High Street Waterstone's this Wednesday doing a panel event - Heroines of Teen Lit - with readings, a Q&A, signing, and super special swag (although I'm not bringing sweeties this time because... well, I've been too ill to go and buy any. Sorry *Sad face*). No need to book tickets or ring ahead - just turn up at 6:30 and we will be delighted to see you! Hello, lovely readers! 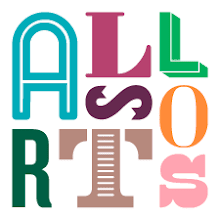 Today I've posted over at the Author Allsorts, so to read my faintly embarrassing reminiscences of all the odd places that I used to hide out to read as a kid, mosey across there now. Greetings, Dear Readers! Don't check your calendars - I know it's not my normal posting day, but I'm joining you early this week because I have EXCITING NEWS. So, you remember I posted about the Heroines of Teen Lit panel and signing in Lincoln on the 29th of October? Well, if you can't get to that (and I know that sadly it was a bit far to travel for many of you) then weep not - I'm doing another event, this one in London, and it's on the 19th. That's right - this coming Sunday. I know it's not much notice, but that's because I literally only learned about it myself on Friday afternoon. It's been a bit of a whirlwind. Details! you cry. Give us details! Patience, young Padawan - details follow. Remember the YALC - Young Adult Literature Convention - which was organised by the amazeballs Malorie Blackman and which took place in July this year? Well, YALC is returning with a smaller 'pop-up' event at the winter London Film and Comic Con this very Sunday, and I will be there doing an event on Female Characters in Fantasy Fiction, along with YA superstars Laure Eve (author of FEARSOME DREAMER and THE ILLUSIONISTS) and Samantha Shannon (of THE BONE SEASON fame). I am polishing my tasteful yet kickass Feminist boots as I type. Figuratively. I don't want to get boot polish on my keyboard. But you get the idea: mouthy awesome ladies being mouthy and awesome. Live! 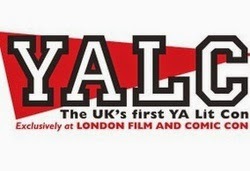 Here is the official press release, which also gives details of the other YALC panel event. Both the YALC events are free to attend, but you will need to have an LFCC ticket to get in. If you're only interested in the two YALC events, you can get a cheaper late day pass, rather than an early bird or all weekend LFCC ticket. Here is the website for the LFCC where you can learn more about the venue, purchasing tickets, and other stuff going on at the larger con (Princess Leia FTW!). After the panel, as the press release notes, we'll be doing an hour long signing. I will be there with my special signing pen and I will sign anything you ask me to, not including private parts (because I love you, but I feel we need to get to know each other better before we take that step). I will also be giving away my usual swathes of swag and HUGS. Always, always hugs. Ettiquette from my previous event still applies: Internet Friends and Dear Readers MUST APPROACH. There is no need to lurk and feel sad about it later! I want to see you, that's the whole point of why I am there. And remember that if know you online by KittyGirl567 and you come along and introduce yourself to me as Sally, I will still be delighted to see you, but might look a bit blank-faced if you bring up our Twitter discussion about fanfic. If we know each other, please, please DO NOT BE TOO SHY to tell me who you are online before you introduce yourself with your real life name, so that I can greet you with all the genuine warmth, pleasure, in-jokes and snuggles you deserve. Above all: don't worry that it will be awkward! Of course it will, because I am awkward at all times, which means am totally used to it! You cannot possibly embarrass yourself as much as I can embarrass both of us, and that is a guarantee. Extra information: last night I had an incredibly vivid dream that during the panel event I spontaneously burst into song and ended up leading the other panelists and audience in an a capella rendition of Taylor Swift's Shake it Off, culminating in a fierce dance-off. So, I'm not saying that will definitely happen but, you know. You don't want to miss it if it does, right? Just putting that out there. THE NAME OF THE BLADE: US EDITION! Hello and happy Wednesday, my lovelies! Today is a fine day for...book p*rn! And what colour goes the best with dusky purple dust jackets and bright yellow endpapers? Why it's pale dove grey and silver, which is the exact shade chosen for the binding, as you can see. But what's that? A strange symbol on the spine? Let's check the dust jacket again! It's there too! And all shiny and silver and purple again, hubba hubba. Also, it feels worth mentioning that this is a super dinky little hardcover - it's smaller than a trade paperback here in the UK and not much bigger than a mass market paperback. I've never seen such a petite hardcover edition - it's practically dwarfed by the Candlewick Press hardcover of, say, Daughter of the Flames or Shadows on the Moon. I'm not sure why that is, but it's kind of precious, honestly. I want to slip it in my pocket, just because I can. Anyway, this is a case where the little thumbnails you see of a cover online do not do the book justice in any way. It's simply scrummy in the flesh, and I hope that lots of people notice this and pick it off the bookshelves of their local shop come November. Lucky for me, the book's already had two lovely reviews, one of which was featured in the Publisher's Weekly Children's Bookshelf Newsletter (and I had no idea until it popped into my inbox and I was reading it as normal and suddenly there was my book staring out at me, leading to much flailing and squeaking at Casa Marriott). 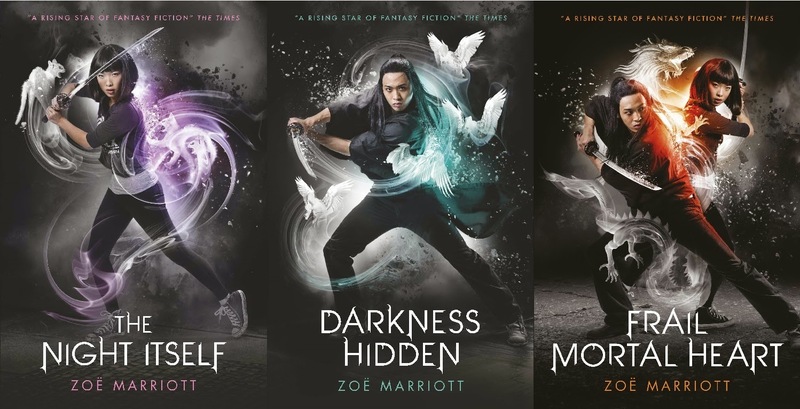 In the meantime, I'd like to ask a favour of any Dear Readers who have a few spare moments: if you've written a review of Book Two of the Trilogy: Darkness Hidden for your blog or your Goodreads, or you were thinking of doing so? The Amazon page for this book is looking a bit sparse in terms of reviews. It's got four absolute stonking ones, which I'm very grateful for - don't get me wrong! - but since the first book has over twenty it kind of looks like no one is reading the next in the series which isn't the impression I was hoping the book would make, you know? Hello, hello, hello Dear Readers! Each of us will be reading from our books, taking questions from the audience, and signing. 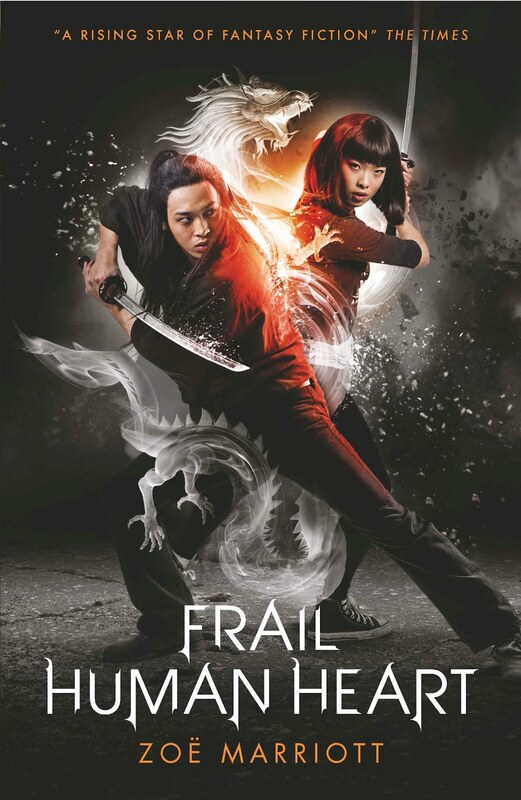 I plan to read a bit from book three of the Name of the Blade Trilogy - Frail Mortal Heart - which isn't out until July of 2015, so that will hopefully be a valuable sneak peek for those who've enjoyed the first two books. I'll also be bringing my special signing pen to autograph and personalise any books that you bring or buy, signed bookplates for you to take home, various pieces of exclusive and delightful swag and, most important of all, *sweeties*. Plus, of course, my usual suffocating and inescapable hugs. Those are non-negotiable. Lincoln is a delightful place - which I know well because it's only an hour away from my hometown by train and I've spent a lot of time there. The best scone and cup of tea in the North of England is available right there on Lincoln High Street by Stokes Cafe. They also sometimes do a sticky toffee pudding which is... *Drools* Nomz. Anyway, Lincoln is small and easy to navigate, full of fascinating little independent shops and well worth a few hours of anyone's time even if there wasn't going to be this pretty mad awesome book event there, too. If anyone's ever wanted to see one of these fabulous multi-author panel events that always seem to be going on in London, but find the capital a bit expensive or difficult to get to, now is the time to take advantage of the more Northernly location of THIS book event and book your train tickets/get your dad to give you a lift/look up the bus timetables. I think I've made a compelling case here, but let me know if you want anymore details, my ducky darlings, and I shall, as the Black Widow would say persuade you. Hello, lovely readers! Today, I bring you, not so much a post, but more a bunch of thinky thoughts inspired by my recent watching of the two Spiderman reboot films - THE AMAZING SPIDERMAN and it's imaginatively named sequel THE AMAZING SPIDERMAN 2. Seriously, don't read this if you haven't seen the films and you don't want to be spoiled. Because I am spoiling All The Things here. Okay? So, I liked the first film - I enjoyed it. I thought that the story was a little incoherent and that the filmmakers failed to explain certain elements sufficiently in their quest to avoid imitating the Tobey Maguire version. But I loved Andrew Garfield's young, vulnerable rendition of the character. And I adored the female hero of the piece - smart, funny, brave Gwen Stacy, brought to life by Emma Stone. Note that I call Gwen's character here a female hero rather than a 'love interest'. That's what she is. Her first speaking scene in the film is where she puts herself between Peter and Flash, who is kicking the cr*p out of Peter outside their school while the other students look on with various levels of amusement and concern. Gwen is the one who helps Peter sneak into the Oscorp facility to find out about his parents (albeit she just thinks he's there for the love of science). Gwen is the first and only person Peter tells about his abilities. Gwen goes up against the frankly terrifying villain, the Lizard, without any superpowers at all, twice. Once to defend Peter and save his life by distracting the villain at a crucial moment. Once to try and hide a piece of equipment vital to the Lizard's plan and to synthesize an antidote to stop him, and also to evacuate the building where she knows he's about to go on the rampage. Gwen has agency in this story. She is the one who first talks to Peter, she is the one who asks him out. When she's in the lab that the Lizard is about to break into, and Peter orders her over the phone to 'get out of there', Gwen ignores him, triggers the blast shutters to buy herself some time, and keeps on doing what needs to be done. Her actions, in fact, save the entire city - without the antidote that she risks her life to create, the entire of New York would have ended up as giant green lizards. Gwen may not get to do cool stunts in a fancy yet implausible superhero costume - but she is so much more than a 'plucky', 'fiesty' (eugh) love interest. She's the female protagonist of the film. She's a hero. In the second film, her heroic nature is less well utilised because she and Peter break up right at the beginning of the story. Peter is haunted by his memories of Gwen's father, the police chief who died fighting by his side at the end of the first film. His last words to Peter were to beg him to break up with Gwen to keep her safe. Peter actually wasn't able to stay away from Gwen like he promised, but by the beginning of ASM 2 Gwen is so sick of Peter's guilty attempts to make her decisions, 'for her own good', that she breaks up with him for good. Peter then spends a worrying amount of time stalking her around the city, and pinning multiple pictures of her to his wall. It's not great behaviour for a hero, but sadly we're all long innured to the fact that Hollywood thinks stalking is hot. In the meantime, Gwen moves on with her life in a very heroic way, applying for a scholarship which will allow a remarkable student to study at Oxford in England. While Peter meets - and forgets - Max, the man who will become electrically-fuelled villain Electro, and tries to support his friend Harry Osborn over the death of Harry's father from a genetic illness which, sooner or later, will probably kill Harry too (Harry will later become the film's second string villain the Green Goblin) Gwen is discovering shady goings on at the Oscorb lab where she does her work-study, and offering Peter friendly support whenever he barges back into her life. Just as she is about to leave for England, Peter comes after her and tells her that wants to be with her, but he won't hold her back. If she's going to England, he will follow her. Still a tiny bit stalker, but a sweet sentiment anyway. In the final third of the film, Gwen is the one who gives Peter the answer that allows him to Electro-proof his web-slingers. He responds to this by once AGAIN trying to take away her right to make her own choices, webbing her hand to a car so that she can't go with him to try and stop Electro. Gwen manages to cut herself free, and it's a really good thing she does, because when Electro shuts down the entire city's power grid, putting thousands of people's lives in danger, she's the one who figures out how to restart the system and put Electro down for good, which she proceeds to do, with Peter's help. She also gives Peter a great speech about how no one, including him, has the right to make her choices for her, that she has made the decision to be there, and how she will not stand for him acting the way he has been anymore. It's fantastic. I nearly stood up and cheered, especially since the film supported her words by having her immediately save the day. Then the filmmakers shoved Gwen Stacy right in the fridge. What does this mean? It's slang for when writers or producers basically throw away a female character - by killing her or having her 'ruined' (blech) in some fashion, which is often a sexual assault, or a catastrophic loss of agency - in order to motivate a male character to greater depths of manpain. It disempowers the female character, turning them from a person into a symbol whose real worth, traits, and possible suffering are meaningless in the face of the overwhelming, sacred pain of the male character who has lost them. Why does Gwen's death count as a fridging, you ask? Haven't I just spent this entire post talking about how awesome and heroic Gwen was? Maybe the writers really loved her and felt she deserved a grand and heroic death? Yeah, except she didn't get one. Gwen didn't die heroically putting herself between Peter or some other innocent person and danger, or saving thousands of people. She died at the last minute, after being snatched up by the Green Goblin, the film's second string villain. He didn't even know Gwen. But he knew that she was Peter's girlfriend - and he wanted to hurt Peter. That was all Gwen was to him, a female piece of meat whose destruction would upset the object of his ire. So he dropped her from a great height, and Gwen died because Peter failed to save her. This completely undercuts Gwen's fantastic strong stance on her right to make her own choices about where she wants to go, what she wants to do, and the risks that she intends to take. By killing her right then and in the way they did, the filmmakers are retroactively validating Gwen's father's passive aggressive interference in her life, and Peter's constant attempts to keep her out of danger by taking her choice away. The filmmakers are basically saying that Peter's behaviour was warranted. Gwen didn't have the right to make her own choices after all, because look what happened - exactly what Peter told her would happen. She died. She died because of him. I think that's actually the worst part of all. The blaring message that Gwen died because of Peter. Not because she was a hero, putting herself in danger to save thousands of people - people in planes and hospitals, people who without a doubt WOULD have perished if she hadn't been there to take action. No, Gwen died because Peter didn't protect her well enough. Didn't manage to take her choices away from her, wrap her up in cotton-wool, and keep her out of the conflict well enough. Literally nothing in the scene where Gwen died reflected Gwen's bravery, heroism and intelligence. They stripped her of everything and left her dangling from one of Spidey's webs like a classical damsel in distress. Her father got to die fighting. He got to offer up some last words. Gwen got to fall, photogenically, and then lie there photogenically in Spiderman's arms while he expressed his beautiful grief over her lovely corpse. After Peter has finished crying (but not making any attempt at CPR - that wouldn't have been photogenic, after all) we get a brief flash of Gwen's mother and brothers at her funeral, and then lots of shots of time passing as Peter, having given up his web-slinging ways, broods, alone, over her grave. What we don't see is any acknowledgement of a hero's passing. There's no speech from Peter at her funeral about how brave and amazing she was. There's a news bulletin about how the people of New York miss Spiderman, but nothing from anyone about how Gwen Stacy, Chief Stacy's little girl, turned out to be just as great a hero as him in saving the city of New York from Electro. No one seems to know or care that if Gwen hadn't been there that night, the power grid would not have been restored and Electro might well have killed Spiderman and still be terrorizing the city. Even when Peter watches Gwen's valedictorian speech, which he missed at the beginning of the film, the part of the speech that the filmmakers chose to use is a section which falls squarely under the heading of 'supportive girlfriend', in which Gwen tells the listener not to give up hope, and that they are enough. We saw the beginning of this speech earlier on and it was kickass and heroic, with Gwen stating that life is precious because it is finite and that we have to chose to be brave even knowing we will all fail along the way - but they didn't use that. Why? Because by this point in the movie Gwen is no longer a hero. Gwen doesn't get to talk about bravery anymore. Peter is the Lonely Hero standing at her grave filled with a manly pain that no one - not his aunt May, who lost her husband, not Gwen's family, who lost a husband and father and a sister and daughter in the space of a year - can possibly understand. Gwen herself couldn't understand it. She's been reduced to a symbolic saintly girlfriend, a sacrifice. She's safe. She's blonde and pretty and smiling softly in the pictures on Peter's walls. Because that's why Gwen had to die here. She was too strong, Too heroic. Gwen was going to go to England and take Peter with her, and we couldn't have that, now could we? She would have been taking Spidey away from NYC! When the filmmakers decided to kill her off in such a meaningless way, I'm sure they felt it was 'for the best' and that they were doing her justice by making sure she looked tragically gorgeous the whole time she was falling to her death and being a dead body. In fact, they stripped us of a heroine and gave us a dead damsel in distress. They stripped Gwen Stacy of her soul before they did her body in. They took away the tragedy of the fall of a hero and made it into the tragedy of the loss of Spiderman's girlfriend. As Peter is kneeling over Gwen's body, with a tiny trickle of dark blood coming out of her nose, the filmmakers don't want you thinking: Poor Gwen. You're supposed to be thinking: Poor Peter. Probably the reason why Gwen was allowed to develop into such a strong, funny, brave, kickass female protagonist in the first place is that the writers and producers always intended to transpose Gwen's death from the comics into the films. They had the confidence to allow her to be ballsy and unapologetically clever and ambitious because they had her meaningless, pointless fridging to look forward to. Ultimately, Gwen was never going to be allowed to truly influence and change Peter's life. She was never going to be acknowledged as a hero or get to die as one. Everything was always going to be about Peter, in the end. She was always intended for the fridge. Look, as a writer, I know full well that sometimes characters have to die. Sometimes female characters have to die. But what doesn't have to happen to female characters (and ONLY female characters) is for them to die solely to motivate a male character into a long, dark night of the soul. If you create a female character with the endgame of killing them off, let their death be more than a prompt for manpain. Let them die the way they lived, whether that is heroically or stupidly or utterly mundanely. Do not make a female character's death all about the man in their life. For the love of God, at least allow her DEATH to be about HER. If you can't do that, if there's no other reason to kill her off than to stimulate manpain, or if there's not enough of her as a character to make any kind of death meaningful other than one motivated only by and meaningful only to the men in her life? Please, please... think again. Hello, and happy Monday, Dear Readers! I know, I know - I've been neglecting the blog (and you) pretty shamefully for a few months now. What's been going on? Well, honestly, I've been in kind of a black hole for a while. I couldn't find the energy to work, I didn't want to hang out with friends, and I didn't want to interact much online. Even managing to drag myself out of bed in the mornings was a struggle. I tried to push past it and keep doing all the same things as normal, and at first that worked, but after a while pretending things were just the same as before began to make me feel even worse. Trying to Keep Calm And Carry On will only take you so far before you get to an edge that you don't want to fall over. I found myself on that edge due to a combination of factors right about the time of my birthday in April this year, which was six months to the day after my father died. I chose to back away - and that meant backing away from all of you, as well. This sounds quite scary and serious, but in fact it what it came down to was taking care of myself. My brain and my body were demanding that I cease running at full speed and just stop for a while. In order to cope, I pretty much had to allow myself the space to be alone, be quiet, and mentally and emotionally try to work through everything that's changed in my life over the past twelve months and where that leaves me now. So I've been gone. And I just had to trust that you guys would be waiting for me when I felt strong enough to come back. I'm starting to get better now - better enough that daring to say that doesn't feel like jinxing myself - but I'm still working through a few problems. Mostly this is my complex thoughts and feelings over my dad's passing last year, which is only just starting to seem real to me, but a lot of it is also problems with my health which prevented me from being on my computer for more than a few minutes, some days, without triggering ferocious migraines. I don't want to make promises that will be like stones on my back as I try to climb out of that hole, but I do hope to be around online and more available to my friends and Dear Readers in the coming months. At the very least, I owe you updates on where I am with all my ongoing projects and what's coming up next. I'll make an effort, anyway. Now before we all get really emo and start crying into our teddy bears (which I freely admit I've been doing plenty of recently) let's have AN EXCITING ANNOUNCEMENT! In October I'm going to be doing a panel event and signing at the High Street Waterstones in Lincoln - my first public event since my dad passed on. Fellow YA writers Kerry Drewery (author of A Brighter Fear and A Dream of Lights) and Emma Pass (author of ACID and The Fearless) will be joining me for an evening event - 6:30 onwards - which celebrates the fabulous heroines of teen literature. I'll not only be answering questions and autographing books, but also giving out prizes and possibly spoilers about future work. I'm a tiny bit nervous about this event, since I've been living like a hermit for a while. But I'm also really keen to get out and about as well. I'd love it if any Dear Readers who can make it would show up so I can shower them with hugs and swag. Lincoln is a gorgeous city that's well worth a visit any day, and between us Kerry, Emma and me have most of YA Lit covered, so we ought to be able to entertain you really well. I'll be blogging more about the event and my fellow authors as the event gets closer, but for now, I just wanted to let you all know what's *been* going on and what *is* going on. Much love to all of my babies - and I hope you read you later. Hello, Dear Readers! Happy Wednesday to you all. 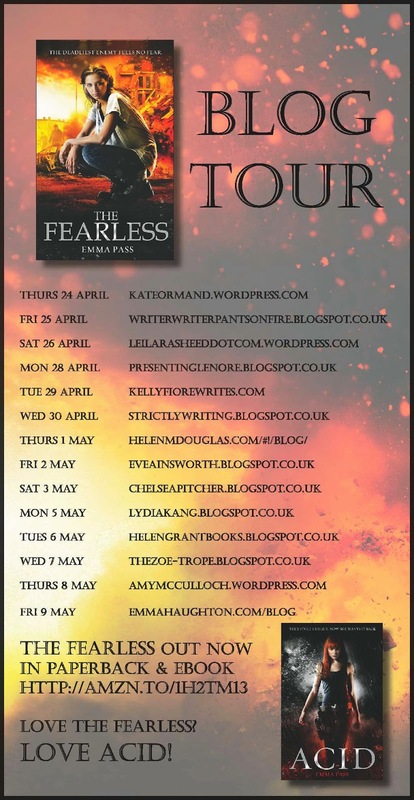 I'm back today to pick the winner of the signed copy of the frankly thrilling UKYA Dystopian novel THE FEARLESS by my friend Emma Pass. Congratulations! Now, I'm pretty sure that you've won prizes on the blog before, but just in case you are a different Eleanor or you've changed your address, I'd still like you to email me at z d marriott (at) gmail (dot) com to let me know your full name and where you'd like your signed copy of the book posted to. I really hope you enjoy the book, Eleanor. For all those who didn't win, fear not! More giveaways - The Name of the Blade themed giveaways - are hopefully imminent, so you will have chances to win other lovely prizes later on. Hello, oh lovely readers! First, apologies for the radio silence over the past couple of weeks. I've been struggling with some health issues and doing maaassive amounts of research for my new Beauty and the Beast story, and I've just felt too tired out to come up with anything interesting to ramble on about. But I'm popping my head over the parapet to bring you this simply marvellous guest post from my friend Emma Pass who, oh yes, also just happens to be the author of one of the best UKYA Dystopian novels ever written, ACID. But before I let you dive into Emma's post - wait! She's also been lovely enough to offer a signed copy of THE FEARLESS as a prize to anyone who leaves a comment on this post. You get an extra entry if you RT, but you'll need to pop the hashtag #thefearless in there so I can find your tweet and count it. This is really worth having, guys - I'd love a signed copy of this book (much as I love my Kobo, it's not quite the same). You have a week to enter - I'll pick the winner via random number generator next Wednesday. And here's a fun fact: the cover photograph was taken by Larry Rostant, the same genius who created the new covers for The Name of the Blade! Well, there is. And it has become a trend – a huge trend, with many different stories looking at many different scenarios. But I never set out to write dystopian and post-apocalyptic novels because it was fashionable. I first had the idea that would become ACID in 1994, when I was fourteen years old. YA wasn't even a genre back then; as a teenager, I remember going from to Sweet Valley High and Point Horror straight to adult novels. But I'd always had a fascination with what if? I grew up in the shadow of the Cold War and the four minute warning, and I remember as a young child feeling incredibly anxious about the threat of nuclear attack. Reading books like Robert Swindells's Brother in the Land, a post-apocalyptic children's novel looking at life after the UK is hit by nuclear bombs, helped me feel like there might be some hope should such a disaster ever occur – that people might be able to survive. So, when I was fourteen, and a friend and I challenged each other to write a story about someone in a sinister future world escaping from prison and trying to stay one step ahead of the police, I never stopped thinking about the idea, even though I initially gave up after a few chapters. I came back to it a few times, trying it as an adult novel, but it didn't work until I discovered YA. Several novels later – one of which got me an agent, but not a book deal – I started thinking about my prison story again. Why not try that idea as a YA novel? At that time, I'd been seeing a lot of things on the news about the UK that made me uneasy. In 2009, the Shetland Islands, a group of islands more than 100 miles off the north-east coast of mainland Scotland, and one of the smallest local authorities in Great Britain, had more CCTV cameras than the San Francisco Police Department. Shops are able to tag products, allowing them to keep track of where these products go so the stores can monitor their customers' lifestyle habits. And did you know Tesco are installing face scanners at petrol stations so that screens can play targeted ads at people? Scary, huh? As I read more stories like this, I started to wonder what life in the UK would be like if the authorities really did watch everybody all the time. What if they controlled everything about our lives – where we lived, where we worked, who we were in a relationship with, even what we ate? What if they controlled the internet, replacing it with a state-run intranet a bit like the Kwangmyong network in North Korea, where everything uploaded onto it is controlled by the authorities? And what if the government had been replaced by a police force who were in charge of everything, and who locked people up for the slightest transgressions? When I started writing ACID, the world was in the grips of the financial crisis, so it didn't take much to imagine a situation where the UK government had been ousted after failing to deal with the country's debt, allowing ACID to take over and isolate the UK, now known as the Independent Republic of Britain, from the rest of the world. Dystopia might be a trend, but it's become a trend for a reason. I think books that look at dark future scenarios speak to us because we want to try and make sense of all the terrible things that are happening around us in the real world, while feeling like there is some hope for the future. Stories that show a heroine or hero fighting the system that oppresses them helps us do this. So while trends in fiction might wax and wane, I think there will always be room for dystopian stories – just like there will always be room for stories in any genre. Long live dystopia! Hello, Dear Readers! Happy Tuesday to all. People have been asking me for a while about the cover for the U.S. edition of The Night Itself - which is coming out in November under the title THE NAME OF THE BLADE from Candlewick Press. Originally they were going to go with the illustrated UK cover, but obviously then the UK cover changed to a photographic one. So they went off again and designed an entirely new piece of artwork, which I was asked to keep firmly under my hat for the time being. However, yesterday I recieved a lovely package from Candlewick, containing advanced reader's copies (or ARCs) of THE NAME OF THE BLADE with the US cover in place. So I decided it was probably OK to share the cover artwork now. This is based on the fact that the last time I had a book coming out in the US, I held off from sharing the cover for a very long time, waiting to get official permission, even after the image had turned up on the publisher website, NetGalley, and Amazon, and people started sending it me asking me what it was. I ended up feeling like a bit of a twit. This time I'd like to get in first. On the physical version, I'm told that the yellow and metallic bits you see - the lettering, and the sword - will be in silver and gold foil, with the rest of the cover in a matt finish. As far as I'm aware this will be a hardcover release. It's very different from any other urban fantasy covers, isn't it? What do you guys think? Let me know in the comments! I have a couple of ARCs of THE NAME OF THE BLADE going spare, so I'm thinking about maybe combining these with other bits and pieces I have to hand and doing a giveaway next week - more on that when I've worked it out.